Move in with the city’s movers and shakers in this high-end, but understated North London neighbourhood. Once a humble North London suburb, Islington has transformed into a classy neighbourhood and is now a London destination in its own right. Buildings have been reimagined as chic wine bars, restaurants and boutiques, and are filled with a mix of creative-types and high-flying professionals, as well as students. The main street, Upper Street is the place to be, with trendy bars and restaurants, and pretty boutiques everywhere you look. 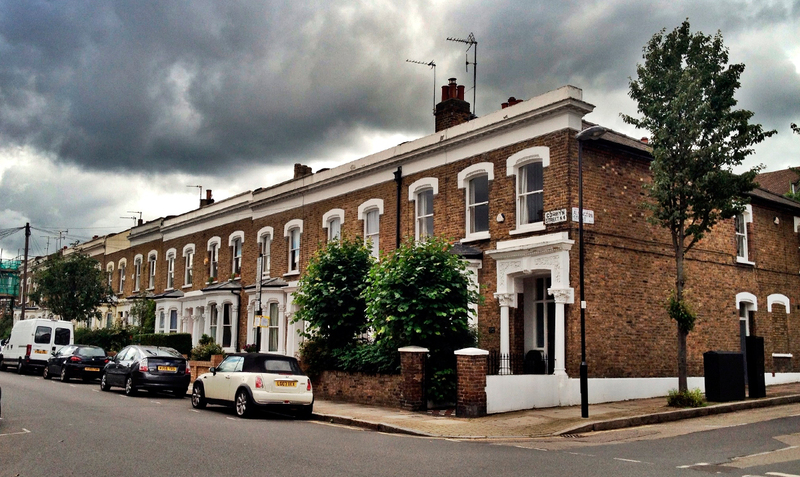 What’s most surprising about Islington is that just off the bustling main road, you will find quiet, peaceful and beautiful streets (particularly Colebrook Row) lined with Georgian and Victorian terraced housing. Like any part of London, you can also find some less-beautiful tower blocks and council estates with more affordable housing options. And if you’re feeling adventurous, why not try living in a houseboat on the Regent’s Canal! The average monthly rent for a 1 bed flat in Islington is £1,900 and for a 2 bed flat it is £2,700 (January 2016). 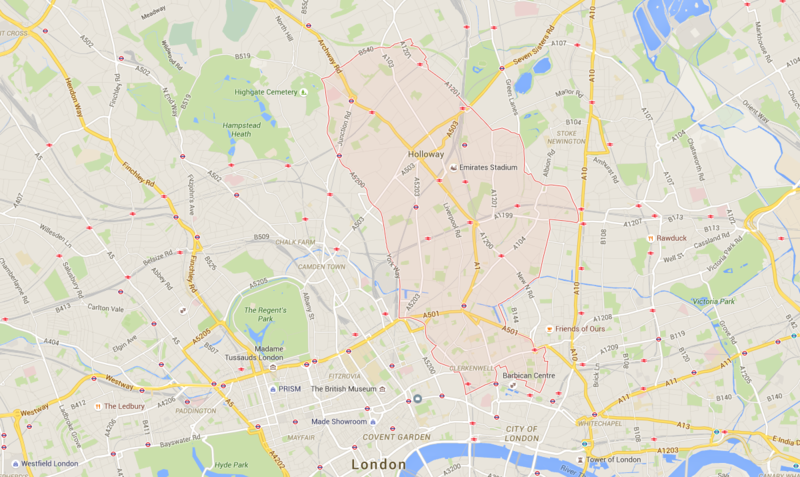 Islington is within the London Borough of Islington and is bordered by the London Borough of Hackney and the London Borough of Camden, as well as Bloomsbury, Shoreditch, Canonbury, Clerkenwell, De Beavoir Town, Kings Cross, St Pancras and Camden. Transport to and from Islington is simple and fast. There are a multitude of bus routes, tube and train stations in the borough including Angel, Archway, Arsenal, Caledonian Road, Caledonian Road and Barnsbury, Canonbury, Crouch Hill, Drayton Park, Essex Road, Farringdon, Finsbury Park, Highbury & Islington, Holloway Road, Old Street & Tufnell Park! Or if you’re feeling energetic, you are only a 30-minute walk from London’s city centre. Famed for its nightlife, vibrant Islington offers a remarkable choice of entertainment guaranteed to keep any Londoner busy. Aside from the plethora of bars and restaurants, you will find several live music venues such as the O2 Academy Islington, The Garage and Union Chapel. 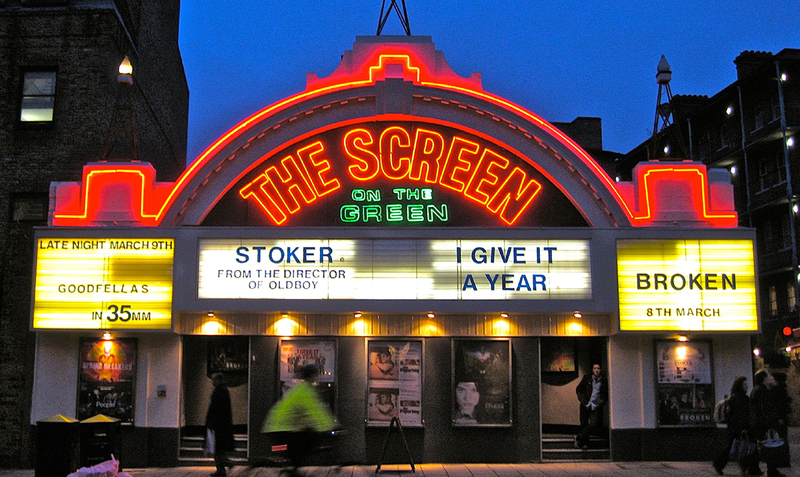 Several renowned theatres including Sadler’s Well Dance Theatre, the Almeida and the Everyman Screen on the Green Cinema are also close by. And if that isn’t enough, you can also rely on a constant flow of new pop up food, theatre or cinema experiences to keep things interesting. Located on a side street of Islington, this stylish cocktail bar is one classy establishment. You can nibble on tasty bites as you sip on your perfectly curated cocktail. And if you’re really lucky, you’ll be treated with tunes from their in-house pianist. Regularly featuring as one of the “Best Cocktail Bars in London”, this place is guaranteed to impress whomever you bring. This café, bar, art gallery, library, and events space offers brilliant views and fantastic food on the edge of the Regent’s canal. 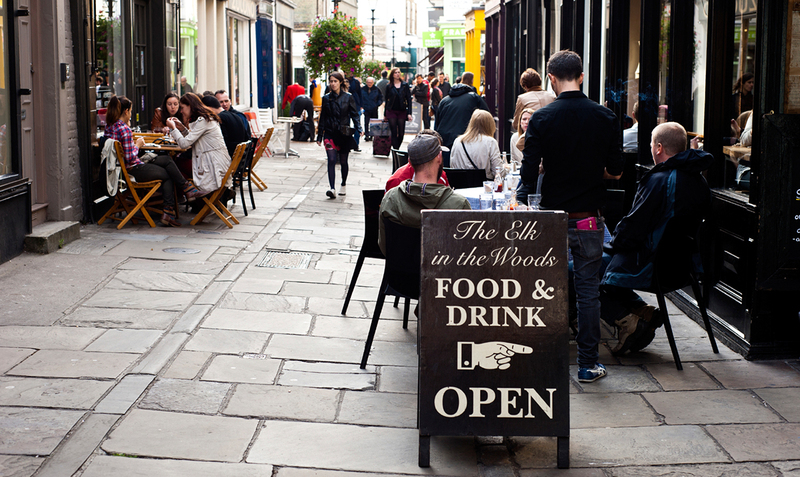 Come for breakfast, lunch, dinner or just a drink and soak up the arty atmosphere. Make sure you keep an eye out for the frequent pop up events that they hold in their event space. And if you need another reason to go, The Proud Archivist is a strong supporter of the Islington community – they use local food suppliers and feature local artists in their art gallery. So you’ll even be giving back to the community too! A meat-lovers’ haven, this neighbourhood steak joint is great for dates or friendly catch-ups. Their menu changes weekly and features sustainable fish and top quality meats from Uruguay to local British farms – all cooked to perfection in a retro-chic setting. 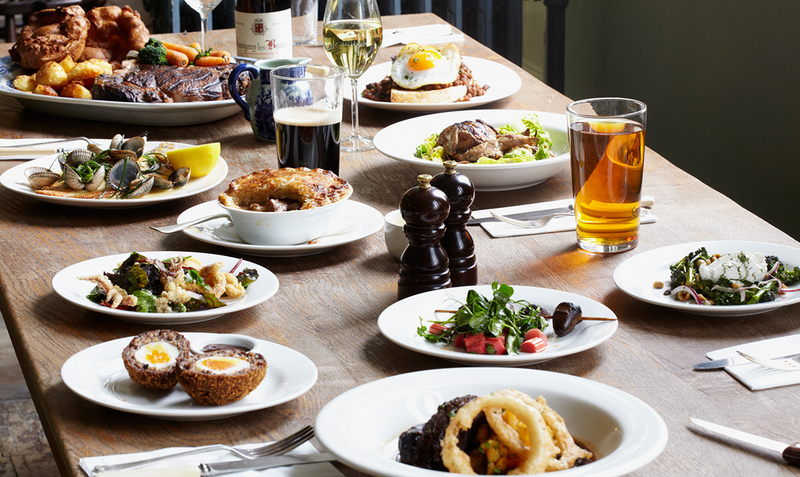 This cosy gastropub is a popular local joint – great food, great beer and loads of space to sit and chat. They have a lovely garden which is fantastic in the summer. The drinks menu is extensive and their experienced chefs whip up some of the finest seasonal food in Islington. A pub you can rely on for almost any occasion. This pub serves a solid selection of ‘proper’ drinks (cocktails, beer and wine) as well as traditional pub grub (think burgers and steak baguettes). More notably, it transforms into a popular dance-spot on weekend nights, with DJ’s playing party beats ‘til 2am. Hunt down some treasures at one of London’s best antique and vintage shops and markets. Camden Passage is a pedestrianised area behind Upper Street and offers an exclusive range of antique furniture, retro clothing and vintage homewares. With independent cafés and bars scattered amongst the stores it is a highly recommended way to spend a lazy Saturday afternoon. Tempted to find a home in Islington now? We’d love to help you with your move! 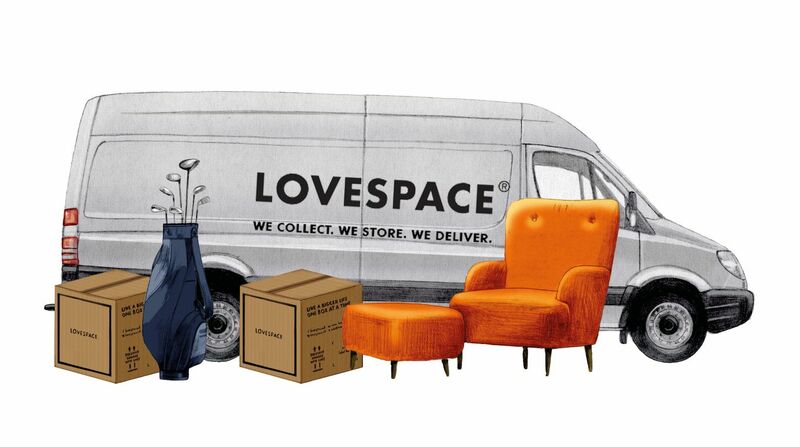 LOVESPACE will collect from your current UK address for free, store your items for as long as you like, and then deliver your items to your new home in Islington – at the click of a button! Click here to get an instant storage quote.